Counting sheep takes on a whole new dynamic at the Trailing of the Sheep Festival in Sun Valley, Idaho, where the Big Sheep Parade finale of five days of celebrations sees 1,500 sheep being herded down Main Street in Ketchum — a crush of nervous woolly beasts interspersed with the intelligent faces of sheepdogs intently focused on their job as they maneuver the sheep to keep them on course on the street. With numerous awards and accolades as a top festival in the world as well as the nation, the Trailing of the Sheep Festival — this year Oct. 10-14 — celebrates a 150-plus-year tradition of living history and moving sheep from their summer pasture in the high mountains down to the valley for lambing and winter grazing, celebrated with a schedule of nonstop activities paying homage to sheep; the ranchers who raise them in the mountain communities of Hailey, Ketchum and Sun Valley in central Idaho; and the wool and cuisine they produce. Over the course of the five-day family-friendly festival celebrations include Sheep Tales gatherings; Hikes and Histories, featuring Idaho's renowned storytellers and sheep ranchers; a Sheep Jam party with live music; and a Wool Festival with classes and workshops teaching crafters how to dye, spin, knit and weave. A Sheep Folklife Fair features sheep-shearing and wool-fiber crafters and artists celebrating the heritage and traditional and folk arts that surround the sheep-raising culture of Idaho, the West and the world, and the role sheep food and fiber have played in local history — including the important role of Basque sheepherders who arrived in the mid-1800s from their homeland in northern Spain, initially for the gold rush before migrating around the West working as sheepherders. Food features heavily throughout the festival, from "Cooking With Lamb" classes taught by top local chefs to the Parade Day Picnic in Ketchum's Town Square. I begin my festival experience enjoying "For the Love of Lamb," a tasting ticket that allows me to roam the participating restaurants of Ketchum that have made special "baa-ites" to show off their lamb-licious cooking talents. The following evening it's on to a farm-to-table dinner, a four-course feast that features local lamb from local ranchers, including Diane and John Peavey and their Flat Top Ranch. It is the Peavey family who started the Trailing of the Sheep Festival 22 years ago in 1996, and it's fascinating to listen to them recounting the sheep-ranching history of the valley between delicious bites. As a Brit who grew up watching Sheep Dog Trials in the fields of Yorkshire, England, and on TV as a national competitive sport, I find a highlight of the festival to be hopping the festival shuttle from Ketchum to nearby Hailey to watch part of the 2 1/2 days of Championship Sheepdog Trials with 70 of the county's most talented border collies competing. Working border collies — considered one of the most, if not the most, intelligent of dog breeds — are scored for herding and moving sheep around a field, through fences and gates, and into enclosures at the whistles and guttural directions of their handlers. It's an amazing sight to witness the partnership and intricate communication between dog and human and the responsiveness of the sheep. But by far the highlight of the festival comes at its Sunday conclusion on Parade Day. After enjoying lamb gyros and local Idaho wine and beer at the Parade Picnic, I stand at the top of some storefront steps to get the best view I can of Basques, Polish, Peruvian and Scottish dancers in traditional costumes marching to their home region music, the Scots in kilts marching to bagpipes designed as cute woolly sheep — all representing the huge heritage of sheepherding regions around the world. Then the music stops and there's a brief break in the parade as the announcer asks for quiet so as not to spook the sheep as we all crane our necks and stare down to the end of Main Street, where we start to see what appears to be a solid sea of wool interspersed with eyes and ears as the mass of 1,500 sheep moves ahead at a hoof clip. Their sheepherders, handlers and sheepdogs quietly and with a few whistles keep the sheep moving in tight formation, and we all beam at the unique and unusual sight as the flow of wall-to-wall sheep moves by us like the woolly waves of an ocean. 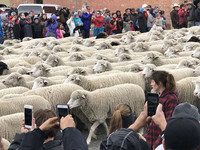 Trailing of the Sheep Festival 2018, Oct. 10-14. Check the schedule of events and purchase tickets at www.trailingofthesheep.org. Ticket prices to culinary tastings and other festival highlight events vary from $20-$90. The parade and many activities are free. The Limelight Ketchum, a refreshingly modern hotel, is the festival headquarters. Check the festival website for special rates: www.trailingofthesheep.org. 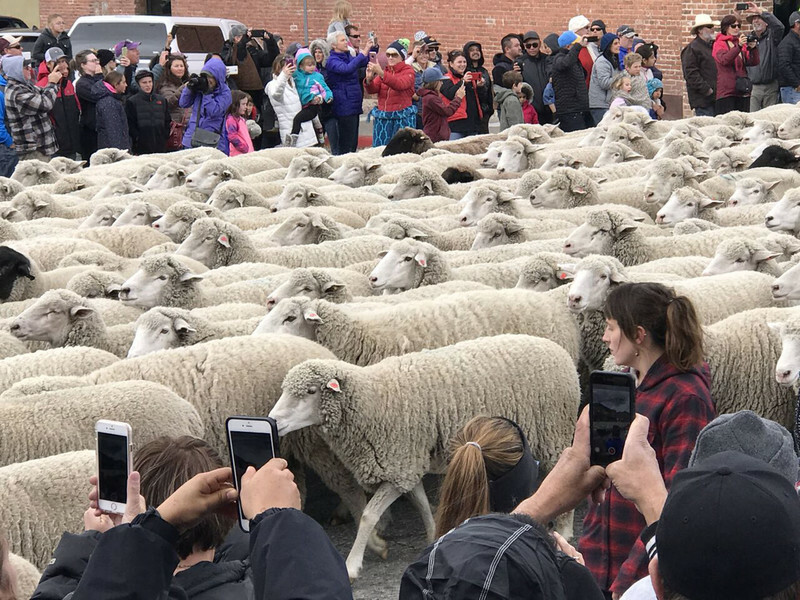 Some 1,500 sheep take part in the final parade at the Trailing of the Sheep Festival in Ketchum, Idaho. Photo courtesy of Nicola Bridges. 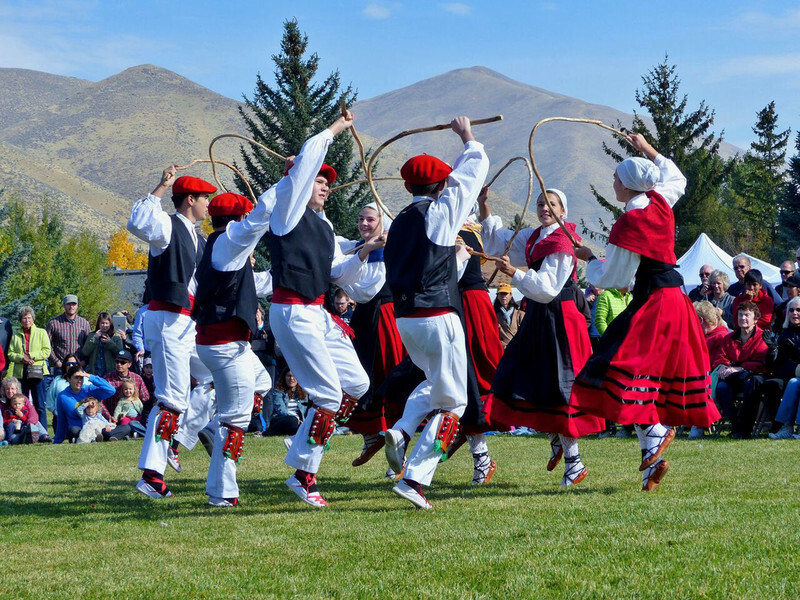 Oinkari Basque Dancers do a hoop dance at the Trailing of the Sheep Festival in Ketchum, Idaho. Photo courtesy of Carol Waller. Photo courtesy of Carol Waller. 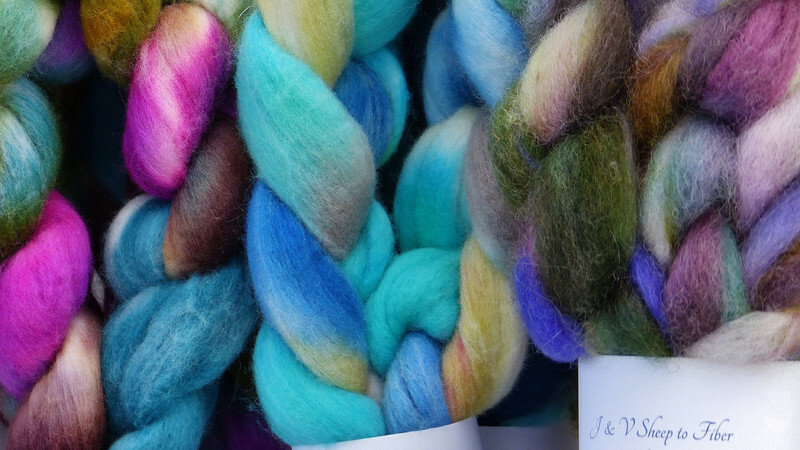 Locally crafted woolen arts and crafts are on display at the Trailing of the Sheep Festival in Ketchum, Idaho. Photo courtesy of Carol Waller. 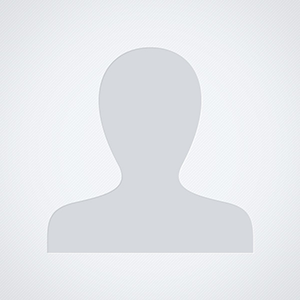 Nicola Bridges is a freelance writer. To read features by other Creators Syndicate writers and cartoonists, visit the Creators Syndicate website at www.creators.com.